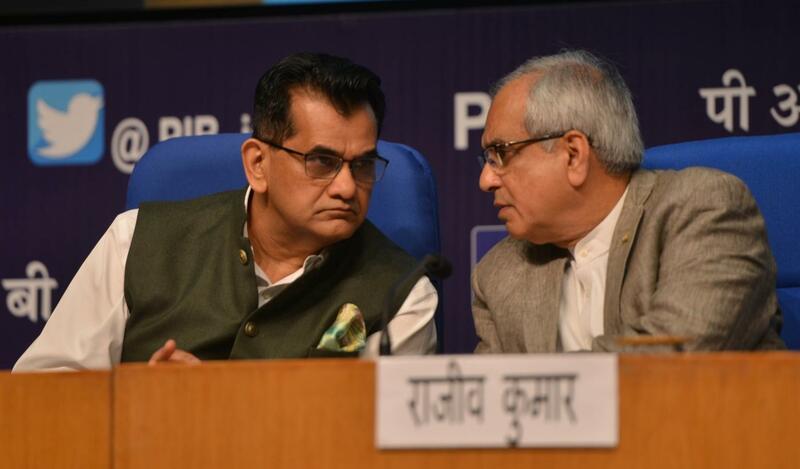 NITI Aayog Vice Chairman Rajiv Kumar and CEO Amitabh Kanth. He also insisted that the weakening of the rupee should not be a cause of worry as it is still “overvalued” in terms of the Real Effective Exchange Rate (REER). “I think because of all these reforms, all the measures we have taken (over the last few years), we are now on the cusp of a major sustained and ongoing recovery. I think we will shift now from 7.5 per cent growth now to 8 per cent and above next year. By 2022, we want to get to 8.5-9 per cent growth and sustain it,” Rajib Kumar said at a press conference here. He said he was saying this on the basis of the “macroeconomic balances that are in place”, along with a higher growth. “Don’t forget that we inherited an economy that was in a bit of a morass. The rate of growth had declined in the previous years. In the June-ending quarter of 2014, the growth rate was 5.6 per cent. “And from there to come up to 7.7 per cent in the last quarter and be able to get 7.3 per cent in 2018-19 and sustain it with — and this is critical — less than 5 per cent retail inflation, food inflation at 3.87 per cent compared to 16 per cent in November 2013, reserves of $400 billion, Current Account Deficit under control and fiscal deficit under 3.3 per cent as compared to 6.4 in 2014… That’s the reason for my confidence to say this,” he said. Rajeev Kumar pointed out that over the last four years, the economy has been “hugely formalised” and the “dualism” has been done away with to a great extent. “The dualism that existed between the formal and informal — between those who paid taxes and those who did not, I think that is beginning to change in a major way with indirect tax base increasing by 40 lakh in two years over a base of 60 lakh. So, an incredible jump there,” he said. 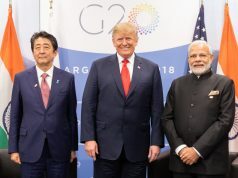 Rajeev Kumar said all of this will help India integrate much better with global production network and would give competitiveness and thus a basis for a higher trajectory of growth “which will be above 8 per cent to go forward”. He also threw a challenge to show him “another four-year period” in Independent India’s history when “so much work” was done as has been done in the last four years. “In terms of work, we worked on reforms, structural reforms, on cleaning up the economy, on improving governance efficiency, on formalising the economy, on going after the parallel or unaccounted economy, on the rise in both direct and indirect tax base and simplification of tax structure,” he said. Rajeev Kumar said that even if he compared his earlier experience in the Central government as the Economic Advisor in the Department of Economic Affairs between 1991-1995 — when the Indian economy was going global with a slew of unprecedented economic reforms, he can say with certainty that the kind of reforms done in the last four years has no parallel. “The kind of focus this government has, sometimes even at the expense of its political support, is remarkable. The appetite for reforms has never been tampered by any political considerations,” he said. He said during the UPA time the rupee was in a “free fall”. “During the UPA-II regime in 2013, the rupee had slipped from 57 to 68 a dollar in just three months, and therefore a comparison would be misplaced,” he said.